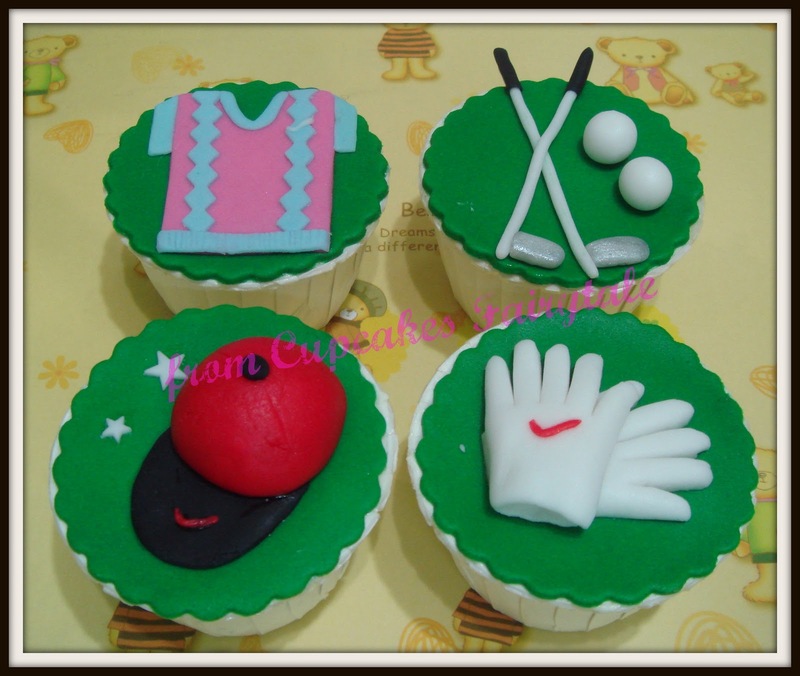 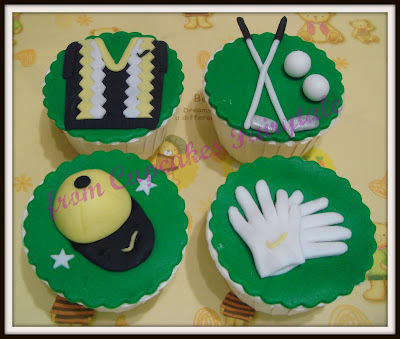 Joanne Liew ordered these sporty "GOLF' theme cupcakes for her parents birthday today. 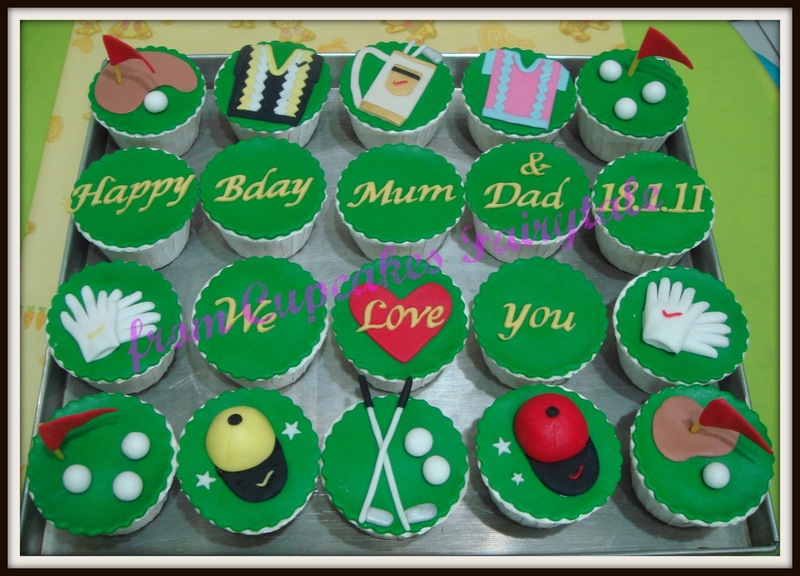 Both Uncle and Aunty 's birthday falls on the same day (18th Jan) and according to Joanne, they love to play golf. 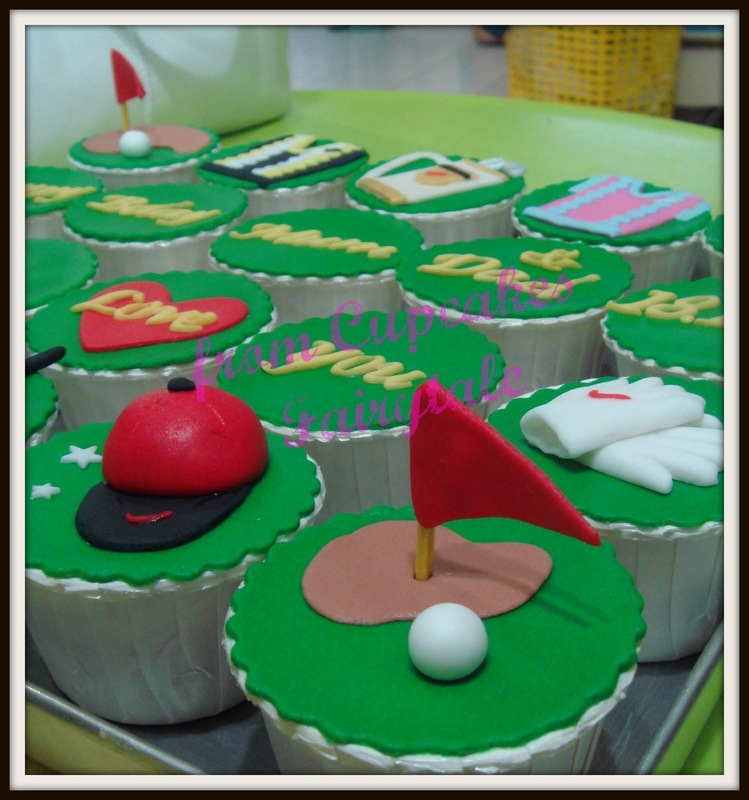 Joanne specially requested all the 20 cupcakes to have anything that is golf-related to be on it....and Cupcakes Fairytale is proud to present these set of "Lemon Poppy Seed" cuppies for them. Happy Birthday to Uncle and Aunty!